When considering how to really make changes in a hospital or healthcare service through a prevention and management of violence and aggression (PMVA) training programme, there should be a focus on the concept of “Showtime”. “Showtime” as we use it in our Verbal Defense and Influence (VDI) method, is a trigger-word that can remind us that when we are involved in our professional work there are always actors and an audience, a stage under lights supported by the backstage behind the curtains and the product of everyone’s activity is to create an experience for the patient or client. 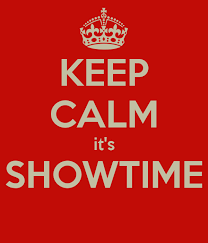 Showtime means that you as an individual staff or team member are always aware of your role as a performer. Because, whether the performer is aware of it or not, he or she is always communicating. The subtle expressions of tone of vioce, facial expression, and body language may not be under the control of conscious thought, but they can still convey powerful and dramatic messages. One of the hallmarks of a professional is that they have an ability to repeat a performance over and over again with the same consistency, and it is the “Showtime Mindset” which underlies this. When the lights go up and the audience engages their attention, the performance begins and, especially in a risky or high-stress interaction, the consistent, mindful responses of a professional are what will more easily find the path to peace. Showtime is mostly invisible to people, until it is absent. Think about a time when you saw a professional person (maybe even wearing a uniform, clearly representing their organisation) who somehow let their professionalism ‘drop’ to reveal an unprofessional attitude, approach or personal value? A great PMVA training course will ask staff to consider what is their professional persona and how they can refresh it with every single patient interaction.